Registration Now Open for the 2013 Users Group Conference! Learn the latest in software innovations and network with fellow industry professionals at the 2013 SDS/2 Users Group Conference! The annual three-day SDS/2 Users Group Conference is primarily a learning opportunity. Activities include training on specific topics determined by the Users Group, the unveiling of new enhancements, award presentations and other activities. This year's conference will be held September 18th through the 20th at the Embassy Suites Omaha - Downtown/Old Market in Omaha, Nebraska. The 2013 SDS/2 Users Group will host partnering companies via the event's Partner Pavilion. The Partner Pavilion is open on Wednesday, September 18th and Thursday, September 19th. Prior to the start of the conference, attendees will have the opportunity to tour local fabrication shops that are using SDS/2. The conference kicks off on Wednesday with the opening of the Partner Pavilion at 12:15 p.m., followed by the Design Data Update, roundtable discussions, and partner sessions. The day concludes with the Partners Reception, sponsored by Peddinghaus. Thursday's schedule includes the keynote speaker, business meeting and educational sessions. Session topics include Exchanging Data: BIM, IFCs and More; Moving From Drawings to Models for Review and Approval; Managing Revisions Effectively When They Happen; and New Tools in SDS/2 Engineering. The event closes on Friday with more educational sessions, such as The Present and Future of User Defined Connections; How to Illustrate Your Model and Win the Bid; Applying Custom Members: Working With Stair Towers; and Maximize Your Performance With CNC Files. The deadline for early bird registration ($100 registration fee) is August 2nd. The conference fee for registrations between August 3rd and August 23rd is $125. After August 23rd, the cost is $150. The deadline for online registration is September 13th. To register for the conference, click here. 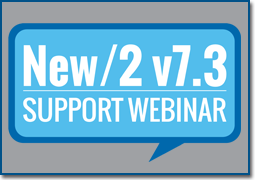 SDS/2 version 7.3 has made it much simpler to transfer projects with an easy-to-use interface from the Main Menu. 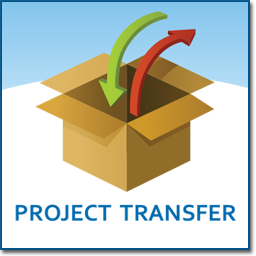 Project Transfer will zip and unzip all the necessary files for transferring a project to another office or location. Inside the Project Transfer window, the Project packing section allows users to choose the job and fabricator folders to be zipped. Click here to read the rest of this blog article. 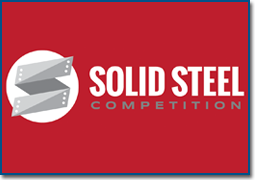 It's not too late to submit your project for the 2013 SDS/2 Solid Steel Competition. Entries will be accepted through August 2nd. To submit your project or learn more about the competition, including the awards, click here. 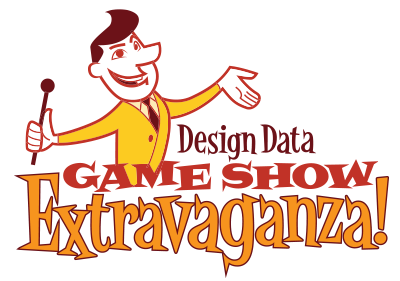 We'll be going back to the time of disco balls, Rubik's Cubes and legendary game shows during Design Data's Thursday evening reception and dinner at the 2013 SDS/2 Users Group Conference! Following dinner and drinks at the Durham Museum, located in downtown Omaha, we'll kick off the Design Data Game Show Extravaganza, featuring our take on Let's Make a Deal, Family Feud, Deal or No Deal, and, of course, The Price is Right. Contestants can win an array of fabulous prizes, including gift cards, technology items, and even some "zonks." We'll be spanning the decades, from the 70s, 80s to today, so pull out your polyester and dress the part with any classic outfits or costumes you may have hiding in the closet. For those who've already ditched the bell bottoms or M.C. Hammer pants, we'll be providing FREE game show t-shirts to conference attendees. The shirts will be distributed at the conference ONLY to those who have reserved them ahead of time. To reserve your free game show t-shirt, email your preferred shirt size to lacey@sds2.com by August 30th.